Collecting Harry Rowntree’s rare Doulton designs. Harry Rowntree,illustrator, hailed from New Zealand where he also trained as a lithographer. Rowntree subsequently moved to England but struggled for a time until commissioned to illustrate a children’s animal book with which he found his forté and of course great success! 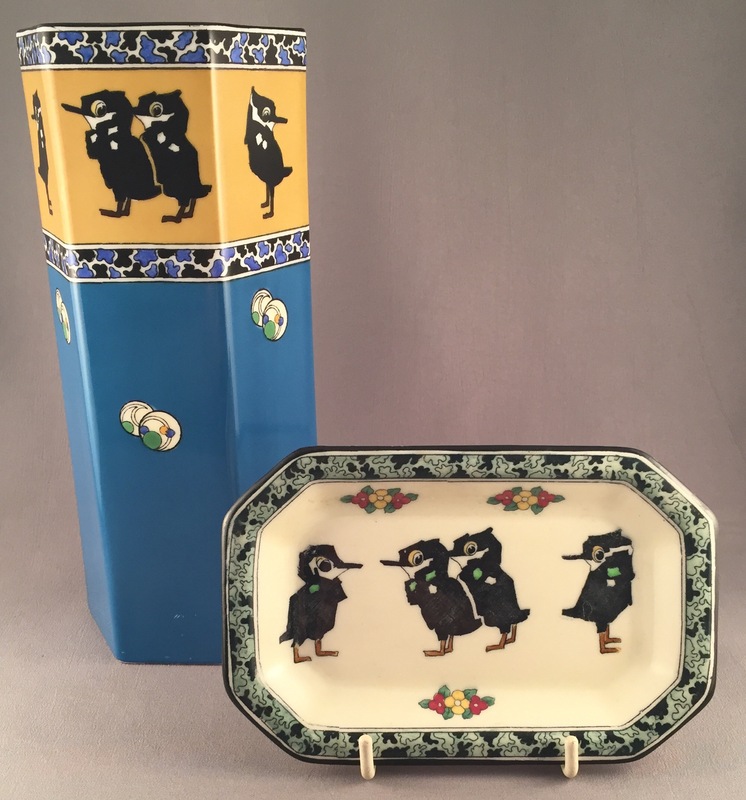 Rowntree’s designs of animals and particularly birds are instantly recognisable and whilst his illustrative work was prolific his Doulton designs are very hard to find! The vase dates to 1921-3 whilst the pin tray is D4430 c.1924.